Penn Championship is America’s #1 selling tennis ball and represents the standard by which all other tennis balls are measured. 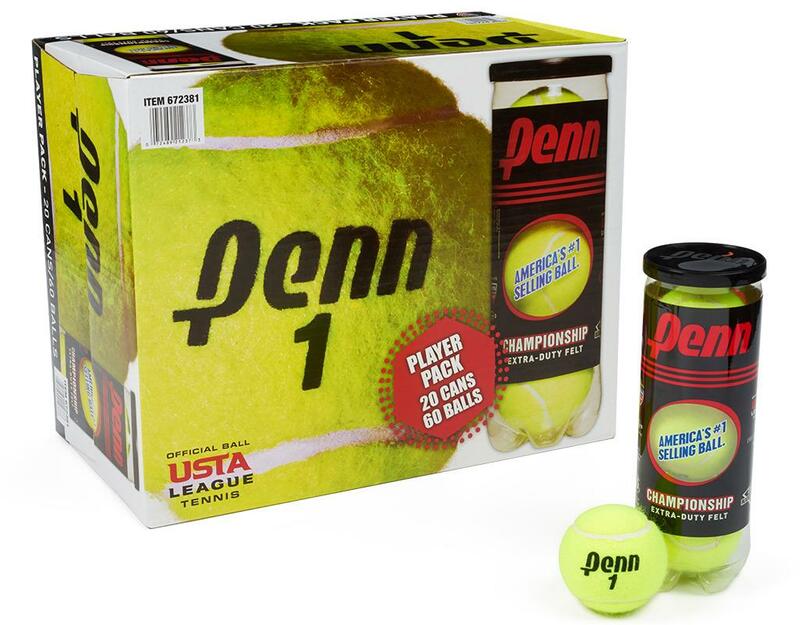 Used by professionals everywhere, they feature a controlled fiber release for consistent nap and reliable performance, natural rubber for consistent feel and reduced shock, and interlocked wool fiber for longer wear. 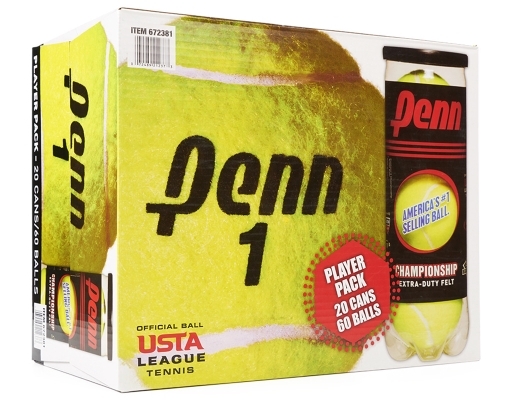 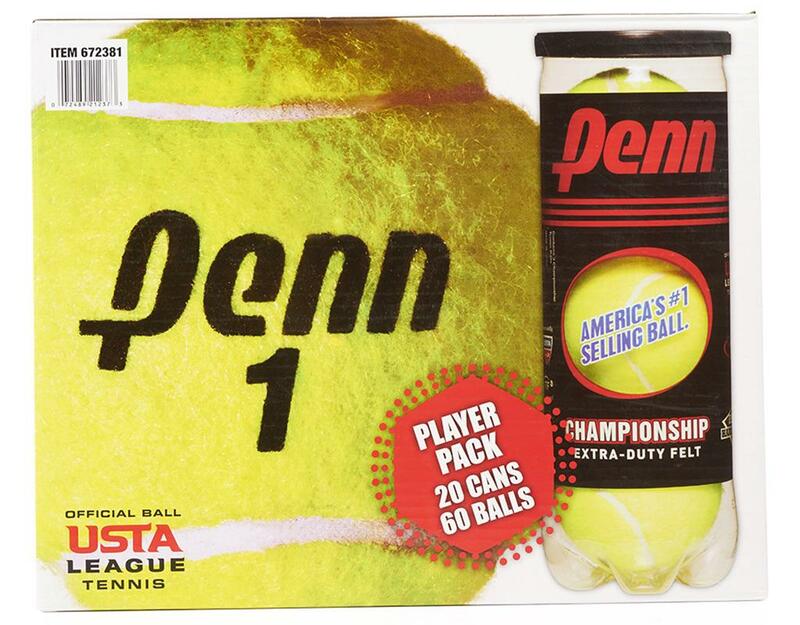 Penn Championship is the Official Ball of USTA Leagues. 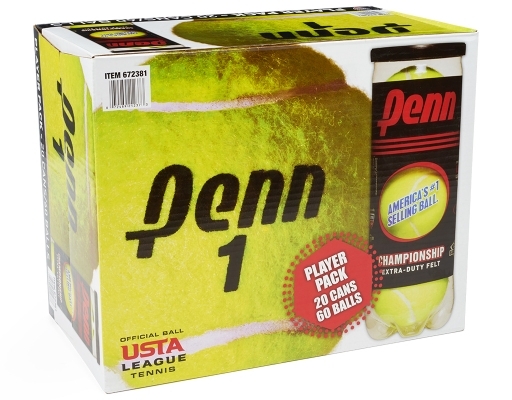 It is USTA and ITF approved and is available in extra-duty felt. 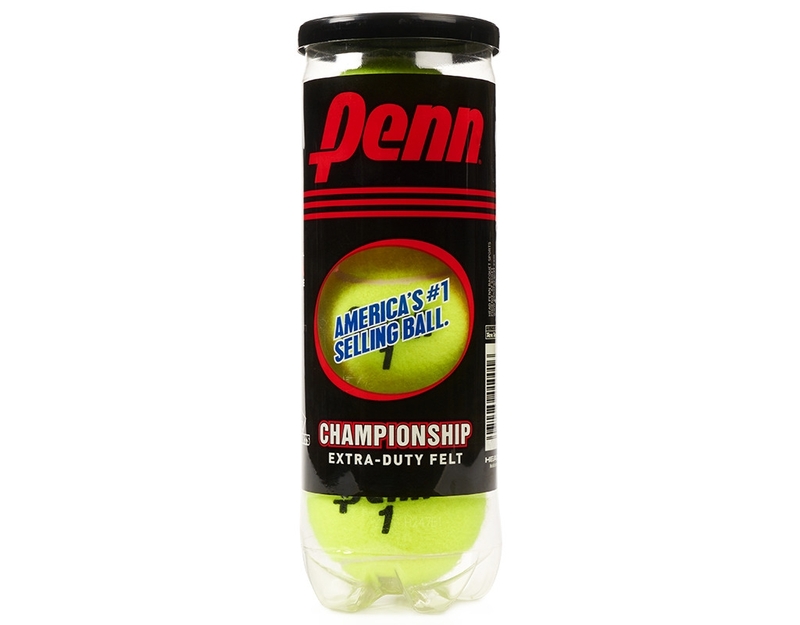 The Championship Line provides quality play every time you hit the court. 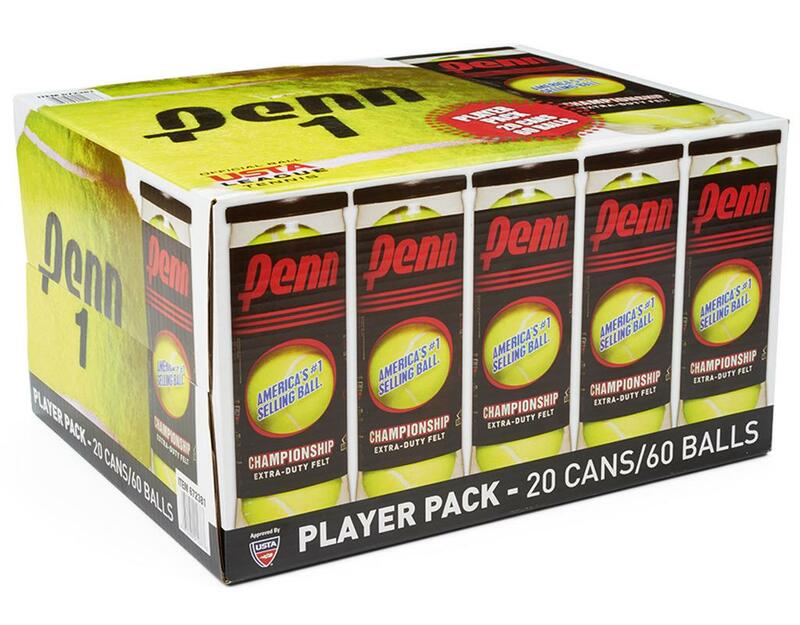 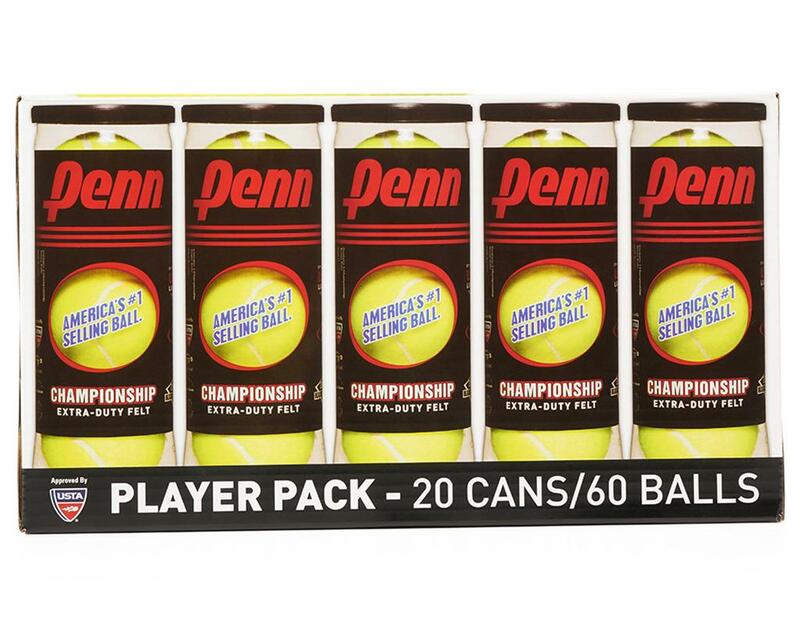 Setting the bar high for all other tennis balls, this 60-pack includes so many balls you don't need to worry about running out, meaning you can keep your mind on your game. 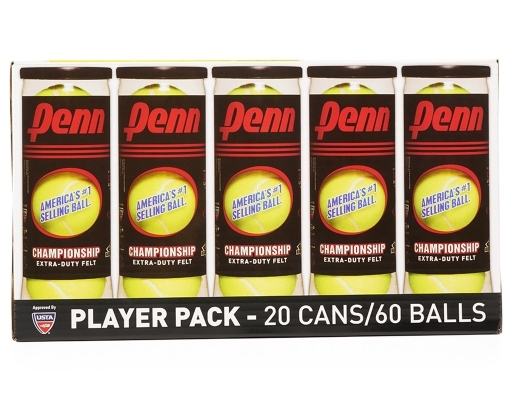 You can even throw a few to the pooch.